The Goines poster listings are divided into nine groups from the earliest to the latest. Every group of Goines posters consists of thumbnail illustrations each of which, when clicked, presents a larger poster illustration together with catalog information and the artist's commentary. The latest poster is dated March 28, 2019. A number of books written by David Lance Goines and published in the past are still available while others are out of print and may be located through a book searching service. Some titles currently can be purchased online through amazon.com and are linked to titles in the list. Those out of print can searched using amazon.com's services as well as others such as ABE, BookFinder and Bibliofind. 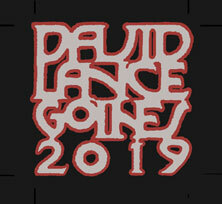 David Lance Goines has written a large number of articles on varying subjects through the years and many of these personal writings are gathered here. Currently they are organized by title but, due to the large number, they will be organized by date and subject in the future. Over the years, a great many of the posters done by David L. Goines have gone out of print, or if they are in still in print, may be difficult to find through conventional channels. With this in mind, the Goines Poster Exchange page is available as a means of posting messages from those who seek specific posters or are offering them for exchange. From a childhood in the Pacific Northwest of the United States, David Lance Goines' life pivoted on his entrance to the University of California at Berkeley where he was witness to the beginning of the social upheavals of the sixties. Trading an academic career for a that of a skilled graphic artist of fine arts posters, his life has become forever linked to his work and his writings.